As the use of ultrasound continues to enhance patient outcomes, several barriers have emerged in the traditional apprenticeship-based ultrasound education model. These barriers include limited scanning time and instructor availability, lack of resources for assessing competency, and non-standardized exposure to patient pathologies. 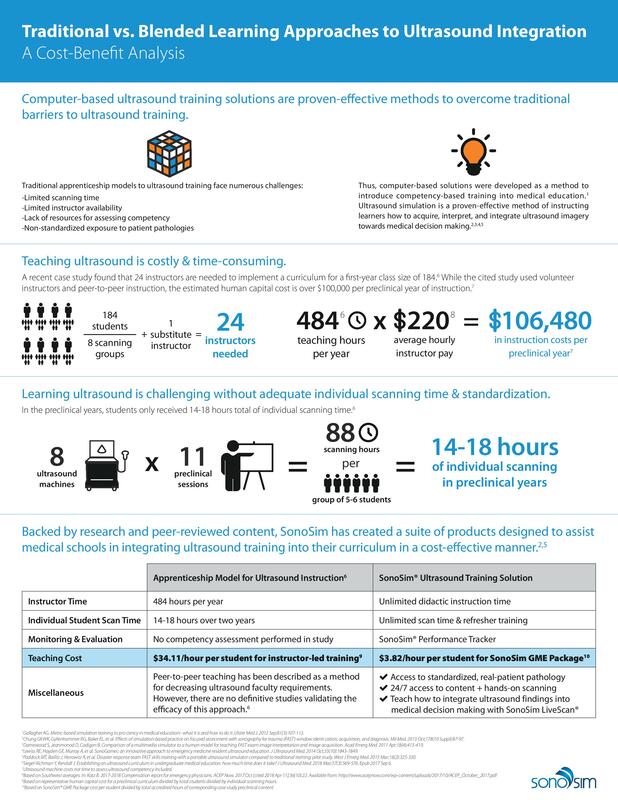 A cost-benefit analysis shows that computer-based ultrasound simulation training is a proven way of overcoming these traditional challenges, while simultaneously allowing students and medical programs a cost-effective solution. The SonoSim® Ultrasound Training Solution and its complementary products offer unlimited didactic instruction and scanning time, standardized patient pathology, performance tracking, and more.